Why did ‘Science’ pull this study on gay marriage from its pages? 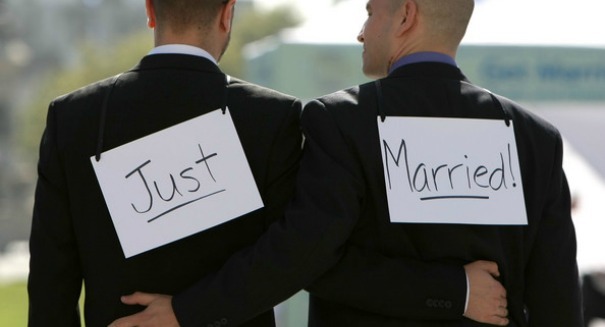 A scientific study examining public opinion on gay marriage has been retracted due to potentially falsified data. One of the most well respected journals in the scientific community, Science, has recently retracted a study it published on attitudes towards gay marriage in the United States because of faulty or unavailable data. According to the New York Times, graduate student at the University of California, Los Angeles, Michael J. LaCour declined to produce the raw data he used to draw his study’s conclusions when asked by mentors and editors. LaCour wanted to find out whether or not a canvasser with a personal stake in an issue was more effective at changing public opinion than someone who was doing the work strictly for the paycheck. In this case, LaCour aimed to find out whether homosexual canvassers were better at changing peoples’ minds about gay marriage than their heterosexual counterparts. His study concluded that homosexual canvassers were, in fact, more effective at getting people to come around on gay marriage, but his data has been called into question. The study was retracted for three reasons, according to Science. The first was that the incentives for participants to take part in the study were apparently misrepresented. The study promised cash payments to enroll or recommend friends and family to enroll, and to take surveys. Science asserts that no such payments were made to study participants. The sponsors of the study had also been misrepresented. Mr. LaCour claimed that the study was funded partially by the Williams Institute, the Food Foundation, and the Evelyn and Walter has Jr. Fund, but Mr. LaCour’s lawyer now claims that this statement is not true. Perhaps most importantly for a scientific study, the raw data used to draw conclusions was nowhere to be found when Mr. LaCour was asked to provide it. Mr. LaCour said that he would provide a “definitive response” to the retraction by the end of the week, but he remains to be heard from. The questionable nature of the study was brought to Science’s attention by one of LaCour’s mentors, who found the statistical anomalies calling the conclusions into question.